TNL Chairman Shan Wickremesinghe today said the move to shut down their Polgahawela transmission centre was not only unjust but also sudden and that he would take legal action against the TRCSL. He said he was not informed of the court order which had been obtained by the TRCSL to search the transmission centre. “The TRC has obtained the warrant on false grounds. We have been paying for the transmission centre for 25 years up to December in 2016. Afterwards, the TRCSL informed us there is an issue with the frequencies. Therefore, I stopped making any further payments awaiting clarification from the TRCSL on the issue of new invoices. Though we gave them several reminders, the TRCSL failed to send us new invoices. The fault is at their end,” Mr.Wickremesinghe told Daily Mirror. 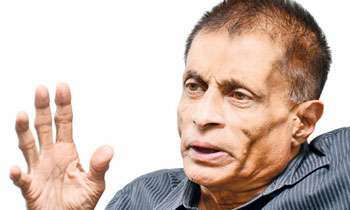 He said the TNL has nine transmission centres including the one at Polgahawela and that the TRCSL has informed him they would raid other centres as well. If what you say is true and you can prove them, agree that TRCSL has been unfair in their action. Specially if you have been following up in writing about the matter. In that scenario there got to be some reason and/or a person behind this. Amazing! that is how pm,s own brother has been treated. what can punchi singhos can expect from the govt. This is not a normal TRC action, it is obvious the decesion has been forced on the Institution. Who ever is behind this is a coward.